Here’s the details on how I was able to migrate a 2003 R2 server from physical to virtual. I used Disk2VHD to convert the running physical machine to virtual hard drives. Note: Do not have it prep for the old Virtual Server software and do NOT have it convert to VHDX. I used a temporary disk to copy the physical drives to during the conversion process. I then used a standalone Hyper-V server to mount the OS disk it had converted to VHD. 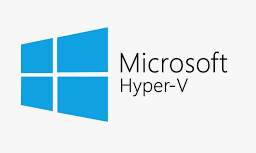 I used the standalone Hyper-V host to run the virtual machine for the first time. Made sure it booted and everything looked good. I then exported the VM and copied it to our System Center Virtual Machine Library. I then created a VM on the Cluster using the VHDs that were exported. Installed the virtual machine integration tools and started the virtual machine.